To provide unparalleled inspiration to the masses of passionate music fans and songwriters alike. It's an unfortunate and exciting fact that I can't personally soak up enough music to stay expertly informed on the ever changing landscape of the music industry. Every week I stumble across artists that just blow me away and I often find myself researching to find out how long I've been missing out on this artist that I just now can't get enough of. The upside of all this discovery is that my playlists are always fresh, my road trips are always entertaining, and I'm constantly re-inspired to share these sounds on this space. Music Sourced is my outlet, and I thank those who come here to discover new tunes. I also like to use this site to share insights on other music sources. There are a lot of sites out there that I use for artist discovery and one that you all should take advantage of is American Songwriter. The singer / songwriter genre is one of my favorites and this is the single greatest source I have found that covers it. 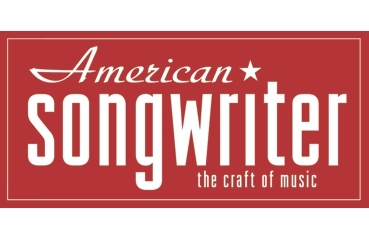 The American Songwriter staff loads this site with so much content that it's difficult to keep up. They do loads of album and concert reviews as well as artist spotlights. The feature that I enjoy most on the site is titled "Behind the Song" where they dig in to the meaning and inspiration behind famous radio hits and tell how the song came to form from a historical perspective. Think of it as a VH1 behind the music that is dedicated solely to one song. They also have a section titled "Technology" section that keeps the geek in me happily occupied. If you enjoyed the song, you can download it for free via NoiseTrade because American Songwriter released a sampler of their artist sessions as a free download. Some of my favorites were from Vetiver, HoneyHoney, Ben Sollee, Courtney Jane. My favorite song on the sampler is "Mississippi" by David Nail. You can preview and download the sampler using the widget below and check out American Songwriter's site! You can also download their iPad app or sign up for their magazine from the site.